NKBA GA/SC Coastal is the local chapter that brings together local GA/SC Coastal Kitchen & Bath distributors, retailers, remodelers, manufacturers, fabricators, installers, designers, and other professionals – and provides a resource for local consumers to research, educate and connect with GA/SC Coastal Kitchen and Bath professionals. Behind-The-Scenes private tour of the Designer Showhouse South of Broad featuring the work of 19 designers in the Queen Anne Historic Home. Lite bites and beverages provided. CEU included, please be prompt! Join us for a wrap up of the Kitchen and Bath Industry’s biggest show recently held in Las Vegas. You’ll see the latest trends and innovations, additionally, you can raise your professional image with a new head shot. Need an updated picture for your social media profile or resume? This is your chance! There will be networking as well as tasty food and drinks served. Kick off the New Year with K+B industry professionals and celebrate our NKBA Chapter anniversary. Style maker and market influencer Christopher Grubb is known as an Interior Designer, Product Designer, Luminary and Speaker. Don’t miss this opportunity to hear Mr. Grubb present to our NKBA chapter this month. 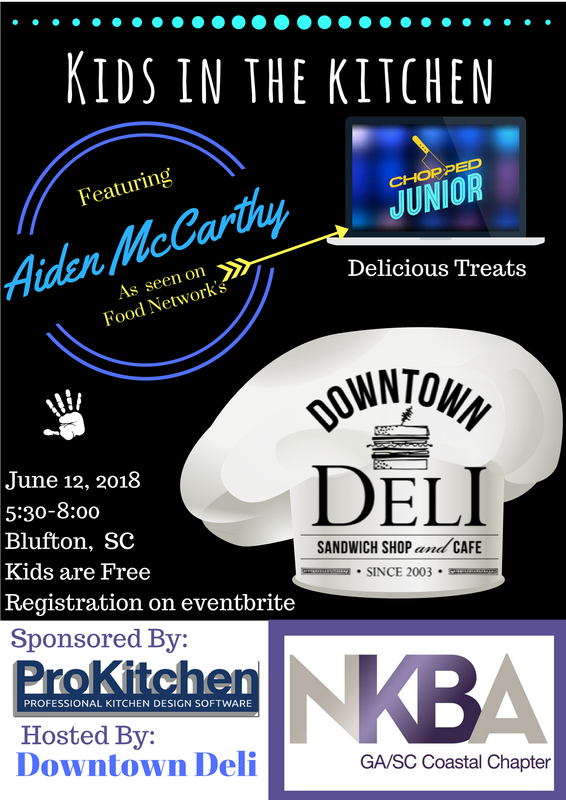 Chapter meeting and networking event with a cooking demonstration by Aiden McCarthy as seen on Food Network’s Chopped Jr.. Learn how cooking can be safe and fun for people of all abilities and sizes and sample some delicious treats. Meeting is sponsored by ProKitchen design software with demonstrations on site. This event qualifies for .1 NKBA CEU. 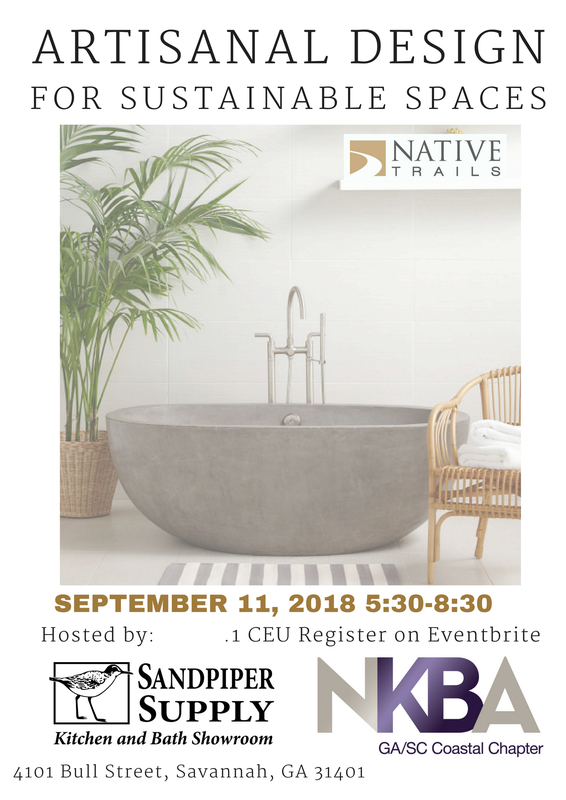 Join NKBA professionals for an evening showcasing Kitchen Trends presented by Colleen George, Trade Representative from Sub-Zero Group, Southeast, Inc. Appetizers and Drinks will be provided. 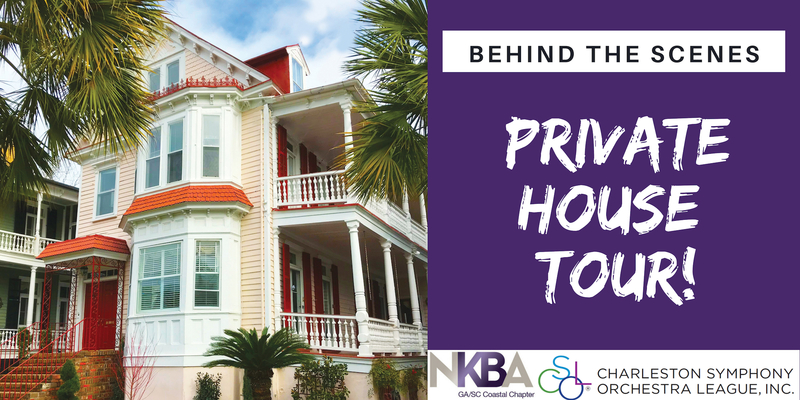 NKBA Meeting featuring a private tour of the Historic Owens-Thomas House, with Savannah’s earliest indoor plumbing and a fine example of Regency Architecture. Following the Tour, please join us for Tapas at Jazz’d. Join us for an evening of food and fun as we kick off 2018 NKBA style! We’ll hear about all of the latest trends as seen at KBIS as well as learn about all of the exciting new things the NKBA has in store for our organization. This event will have limited seating, so get your tickets soon! 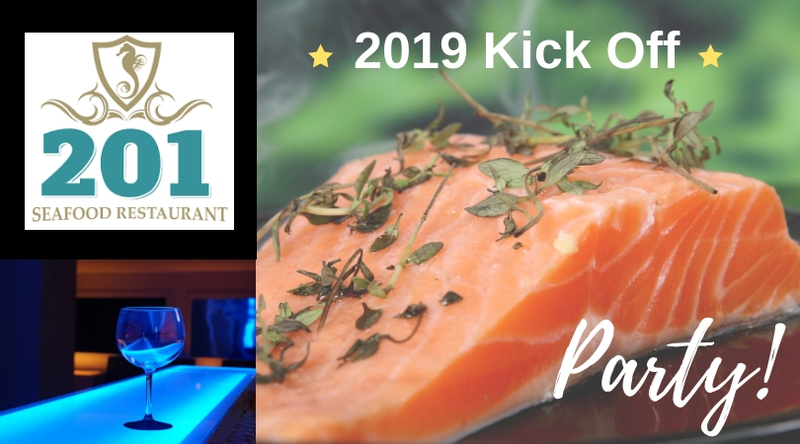 201 Seafood will serve us a plated dinner, to include your choice of entree, served alongside a a Caesar or Garden Salad, Roasted Brussells, Mashed Potatoes, and Chef’s selection of dessert. Entree options include Atlantic Grilled Salmon, Bacon-Wrapped Pork Tenderloin, and 10 oz. Ribeye. Two drink tickets valid for a glass of house wine or beer will also be included with the purchase of each ticket. Please purchase your ticket according to the entree you’d prefer. NOTE: Please park and enter from the LOUNGE parking lot. Due to the nature of this event, we will be ending all ticket purchases on Monday, January 29th. Please purchase your tickets before this date or RSVP or courtney@centerpointcabinets.com if you wish to pay at the door. Join us in Pooler for an evening all about quartz at Cambria’s shiny new distribution facility! We’ll enjoy heavy hors d’oeuvres and beverages as we learn everything there is to know about the world of quartz. Then, we’ll be taken for an exclusive look behind the scenes on a personalized distribution center tour, ending with dessert provided by Sylvie’s Crepes. This is one event you won’t want to miss!! This meeting is worth 0.1 CEU. Social media can be intimidating, but it doesn’t have to be! Join us at Ferguson’s Savannah Showroom for part 2 of our special National Kitchen and Bath Month series by Denise Butchko. Denise has been a contributing writer/blogger for The Wood IQ & The Woodworking Networking Publishing platforms (including Closets magazine) for nearly a decade. 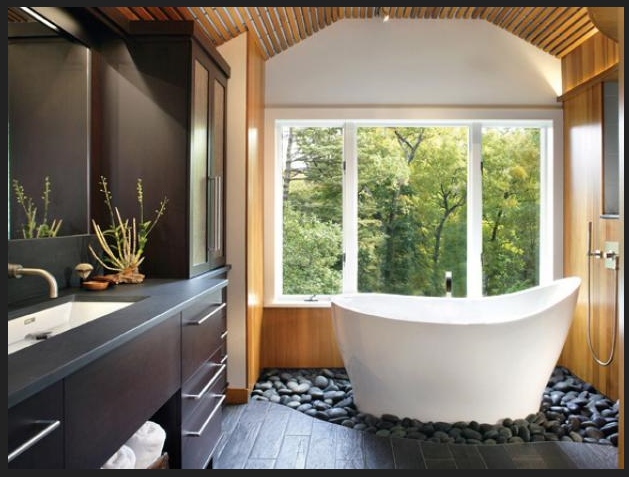 She’s also been a winner of the “Top Shelf” Design Awards competition and had her work featured in places like The Chicago Tribune, The Chicago Sun-Times, Fortune Small Business, Kitchen & Bath Design News and For Residential Pros. Is your business struggling to develop a social media strategy? If you’ve been “doing’ social media, how do you know if it’s working? How do you measure the ROI? What metrics do you look at? And if you need help, what can you outsource and to whom? What are more administrative tasks and what needs thought and strategic attention? What things do you, as a leader, need to understand? Ways to build and integrate your MVP – your email list – into your marketing. This presentation is worth 0.1 CEU. We will also continue our Lincoln Log drive for “With Purpose” at this meeting. Your meeting fee will be waived with the donation of any new or used Lincoln Logs that will be used in constructing a record-breaking structure in hopes of bringing more awareness to childhood cancer research. For more information on this wonderful non-profit, please visit their website. Let’s celebrate National Kitchen and Bath Month at Garden State Tile with hors d’oeuvres, beverages, and an evening all about closet design! We will be welcoming Denise Butchko as our guest speaker for the evening. Denise is the the author of “The Consumer Guide To Closet Design” and “How to Design a Walk In Closet,” and she teaches professionals just like you how to design and sell closets. She has won a Top Shelf Design Award, judges the industry’s design competition and is part of the NKBA’s Chapter Education Program. The percentage of people wanting to do high end, boutique closet design is increasing. As people realize and acknowledge the value of storage space in their homes, many, particularly women, are allocating space to “dream closets” much like men have been allocating man space in the garage and the basement. Not only will this session show you examples of rooms that were turned into dream closets, we’ll see some integral tools leading up to the design and execution of such detailed and intensely personal spaces. We’d like to thank Ferguson for hosting this fantastic evening, Pro Kitchen for serving as our food sponsor for this event, as well as Ryan, Leah, and Aiden McCarthy from Downtown Deli and Catering for putting it all together! We are also happy to announce that all kids tickets will be sponsored by Center Point Cabinets! Please RSVP any children by reserving a free “Child Ticket,” so we have an accurate count for the evening. Please reserve your tickets via Eventbrite ASAP–there is limited space for this event! Join us as we are whisked away by Lowcountry Trolley for an evening of educational architectural fun! We’ll be chauffered past all of the best architectural hot spots the Holy City has to offer and enjoy a few refreshments along the way. This is one event you don’t want to miss! For this event, we will meet at the Charleston Visitor’s Center (the address listed on this invitation). The Visitor’s Center has plenty of parking available in the adjacent parking garage. This event is worth 0.1 CEU. Ever have a question about what kind of fixture will best fit a particular space? What kind of wiring is required? Or even what type of bulb to use?? 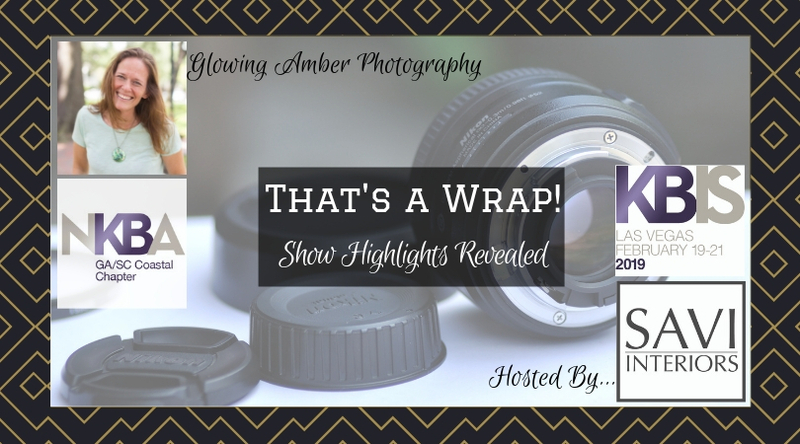 Sometimes it seems as though the lighting industry is changing at warp speed… so we’re dedicating an entire evening to helping you make sense of it all! Please join us for an evening all about the latest in lighting trends! Lisa Dixon, from Pace Lighting, will be here to answer all of your questions from the basic to the technical, and will also bring us the latest in market trends. LED lighting will be the hottest topic of the evening, but please come armed with all of your lighting questions–from under-cabinet lighting to ceiling fans! Join us for a fabulous evening on “The Porch” at Cohen’s Retreat! Cohen’s Retreat will be serving up a delicious meal, to be followed by KBIS and IBS updates from our chapter members who recently attended Design & Construction Week in Orlando. The NKBA has some HUGE things happening in 2017 and this is one event you don’t want to miss! The Boomers and the Millennials are the largest demographic groups in history. There is an overabundance of data surrounding both segments and it is difficult to understand and confusing, to say the least. In this presentation we will break down a basic overview of both the Baby Boomer and Millennial demographic groups. How are they different and similar? Next, we will dive into consumer segments that will help us to form a deepoer understanding of both of the demographic groups. We will discuss how to speak to these consumers. What is important to them? Lastly, we will review a few key trends that will be influencing the design decisions for both demographic groups in 2016 and 2017. Lunch will be provided. This program will be worth 0.1 CEU. The Boomers and the Millennials are the largest demographic groups in history. There is an overabundance of data surrounding both segments and it is difficult to understand and confusing, to say the least. In this presentation we will break down a basic overview of both the Baby Boomer and Millennial demographic groups. How are they different and similar? Next, we will dive into consumer segments that will help us to form a deeper understanding of both of the demographic groups. We will discuss how to speak to these consumers . What is important to them? Lastly, we will review a few key trends that will be influencing the design decisions for both demographic groups in 2016 and 2017. When was the last time you reviewed your business insurance policies to be sure that your coverage was adequate? What recent changes have been made in SC and GA regarding business-related insurance? Do you have questions about what types of coverage you need for your business? Join us for an informative program and Q & A session with the folks from HUB International! This program is worth 0.1 CEU. Remember when virtual reality was science fiction? It’s now today and immersion technology has already advanced rapidly, moving from the gaming world into the world of architecture and design. 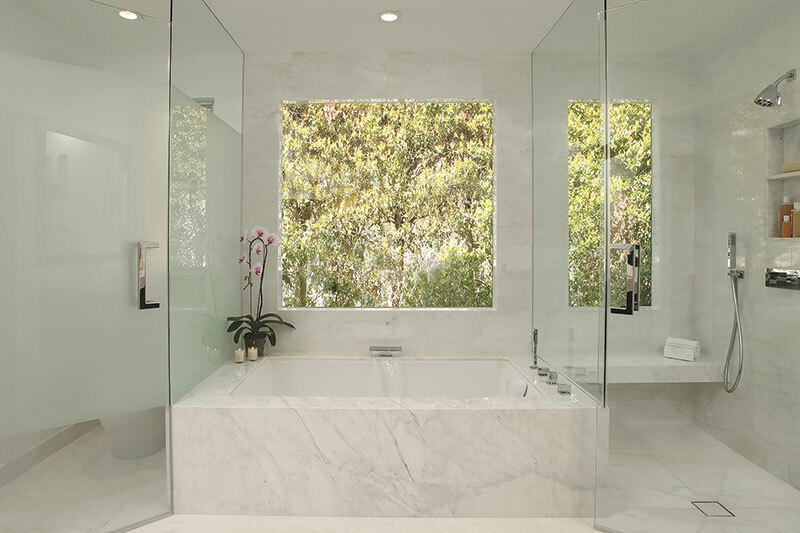 Consumers are now using VR tools to experience their new kitchens and baths while they are still in the concept stage. 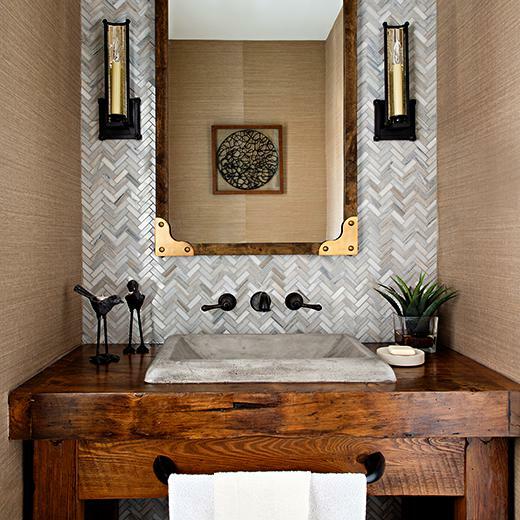 Not just being “Wowed!” but, more importantly, setting the right expectations, making educated decisions and being connected to their professional designer in ways that are better than ever. This session will focus on both the demonstration and hands on use of Virtual Reality design presentation tools that are now being introduced to the market. Tools that will enhance your design and sales process and provide the purchase journey that your clients are beginning to expect. Be ahead of the curve and meet consumer needs today instead of tomorrow! **NKBA MEETING NOTE: We will start the 2020 training event at 12:30. We will be holding the Chapter Officer Elections from 11:45a to 12:30p. Architectural Tours of Savannah, LLC is a tour company with walks led by Jonathan Stalcup. Jonathan graduated from the Savannah College of Art and Design with a Master of Architecture degree in 2004. He shares Savannah’s history with both visitors and locals by describing the city’s built environment. Oglethorpe’s original plan, today’s desire to balance preservation with a living city, and almost 300 years in between are presented as a narrative timeline. The tour will start in Olgethorpe Square and end in Wright Square. Parking Meters on the street don’t need to be paid after 5’oclock. We will provide water and a snack! CEU’s are available for this event. Please join us for an evening all about lighting! The Circa Lighting staff will lead us in a program showcasing all of the hottest trends in lighting, including the latest developments in LED technology. This program will be worth 0.1 CEU. Please join us for an evening of food and fun as we kick off 2016! Housed in one of the oldest, most historic and genuinely haunted buildings in Savannah, Moon River Brewing Company is sure to be a fun venue for hearing the latest news from KBIS from some of our local chapter members. After dinner, we’ll finish out the night with a guided tour of the brewery. This is one evening you won’t want to miss! Please select from one of the 3 entree options below and purchase your dinner ticket accordingly. Please note that we do need to RSVP to the venue 2 weeks in advance. So please go ahead and purchase your tickets ASAP!